Fabio Capello said prior to this round of friendlies that the three players key to this generation of English football are Jack Wilshire, Andy Carroll and Theo Walcott. 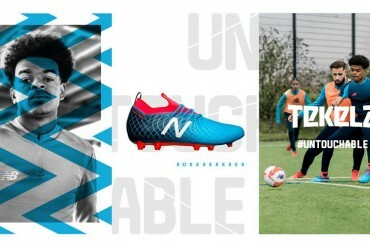 We should count ourselves lucky, then, that we got to find out what makes one of these three talismans tick when we caught up with Theo Walcott at the launch of Nike’s new Superfly III! Currently inching his way back into the running at Arsenal, after taking a knock against Stoke back in January, we caught Theo in a chatty mood at NikeTown in London. After a quick natter about snowboarding, upcoming gigs and whether he’ll be in contention this weekend, we got the England international to reveal all about his thoughts on the new Superfly III, football boots and what it means to be a Superfly player! 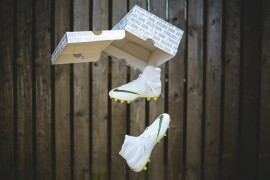 Hi Theo – we’ll start off with the football boots themselves – what were your first impressions of the Superfly III? 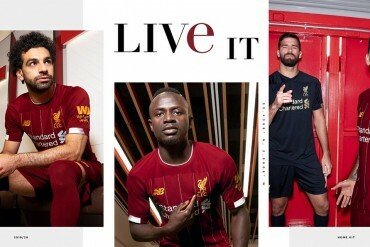 First of all, they’re such bright colours, as Nike always do, it’s just a totally different style to what boots used to be! The purple and the yellow, the way they clash – it’s meant to help your team mates spot you easier – hopefully it will! And also, it’s so light, at times it feels like there’s nothing on your feet. When I was younger, I used to kick a ball about with no shoes on, and it’s pretty much like that! What’s important is they still feel sturdy, if you take a whack on your feet, they’re still going to hold up. 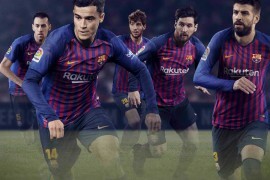 That’s what football boots are getting to the stage of now, it’s like they’re designed for sprinting – the game’s so much faster, and European football is home to so many quick players. Oh, and they look smart too! Do you still get excited when Nike bring you a new pair of football boots? I do! The first thing I always look at is the colour, the colour always matters! What do you do with your old football boots? When I finish with them, I do like to give them away to charities and friends, so I like to think they go on to get looked after! You mentioned the boots are so brightly coloured, do any of the traditionalists on the team give yourself, Bendtner and Arshavin any hassle over the colour of your football boots? No, not at all! 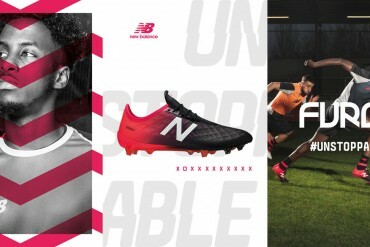 Football’s completely changed now; I know younger players in the youth set-ups have to wear black boots, but it’s so difficult for kids to wear that these days – it’s all about the brightly coloured boots now! I don’t think it matters what boots you wear, as long as you’re doing on the pitch! 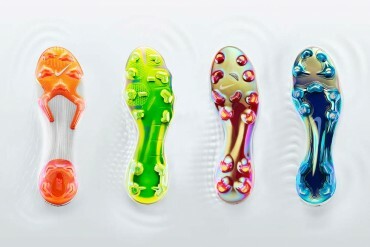 Nike are selling this boot on the idea of Visual Accuracy, where the colour makes it easier for your team mates to spot you; has Cesc Fabregas ever commented on how much more visible you are in these cleats? To be fair, Cesc spots everything anyway! It’s going to make his life a little bit easier if I’m wearing these. They haven’t said anything yet – but it’ll be interesting to see what the lads say if I play at the weekend wearing these football boots. 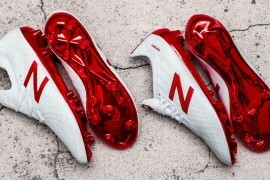 We know that many players have customisations and tweaks added to their football boots, do you have anything to help your boots perform better for you? I have wide feet, so my boots are slightly – very slightly – wider than normal, and aside from having my initials on the boot I can pretty much wear them out the box – I’m pretty easy really! When you get a fresh pair of football boots from Nike, do you have a ritual for breaking them in at all? I do – I soak them in hot water, let them dry a little and then wear them for a little while – they sort of mould to your feet a little bit, then; That’s a tip there for anyone that struggles to break in their Superfly III‘s! I’ve also seen some people wear them in baths, but for me it’s just a little soak in hot water before I take them to training. 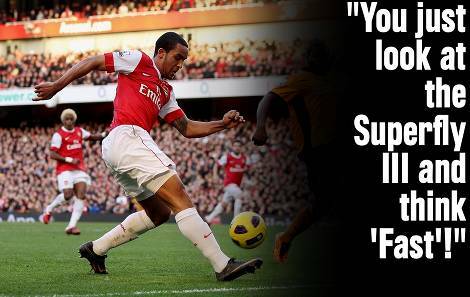 There you have it – a Footy-Boots.com ‘Theo Walcott Top Tip!”! 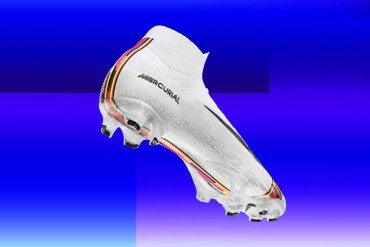 Do you think that the football boots a player wears on the pitch say something about him as a player? I think so, yeah. 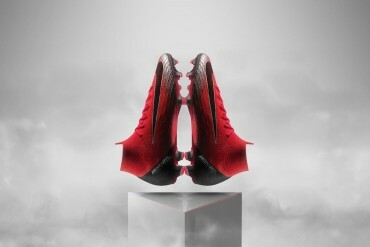 You look at the Superfly III for example, you think ‘Fast’, ‘Good’ and ‘Scores Goals’. I’m looking at it now and I just think ‘Fast’! The lightning bolts on the heel and the shape of the boot just look fast to me! 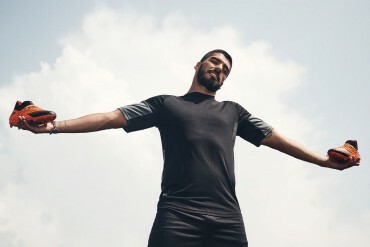 Nike are running a campaign on Facebook at the moment, ‘Who is Superfly?’. Have you played against a particular player who really embodies what it is to be ‘Superfly’? 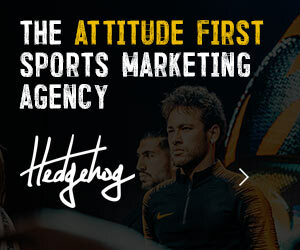 You look at Cristiano Ronaldo; the way he looks, the way he plays and the stuff he does off the field too – that’s what the campaign is about, he’s definitely Superfly. 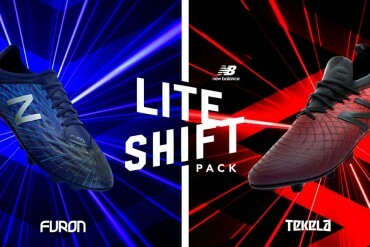 We wished Theo the best of luck for the rest of the season and parted ways – but not before we got him to sign some goodies for Footy-Boots.com! And what happened to those? 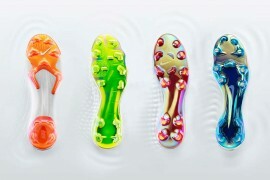 You’d do well to keep your eyes on Footy-Boots.com this week to see if there’s a way to get your hands on them! 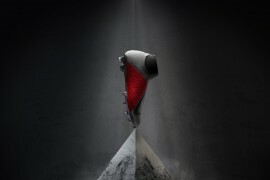 Previous articleOZIL’S NEW NIKE FOOTBALL BOOTS DEAL: REVEALED! i think if nike really want to sell the superfly, the should make a monochrome (black and white) colourway, black with white bolts and white tick. the colours are simple and you cant get any more contrasting than black and white, so the whole visibility thing will still be there. Neat fitting tip from Theo!